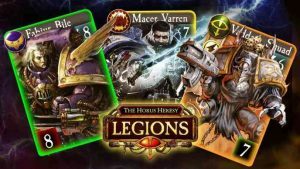 Choose your Legion, collect cards and build a deck of Space Marines aided by Mechanicum, Imperial Army or Chaos to rule the galaxy. Join a guild, discuss card strategy and decks, and fight in PvP Arena card battles. Choose a side in epic Faction Wars to influence which new cards, cosmetics and Legions are added to the game. Enter The Horus Heresy, one of the richest settings in the Warhammer 40,000 universe by Games Workshop, for the first time as an online TCG card game. IT’S THE 31ST MILLENNIUM: Uncover the epic origins of Warhammer 40,000. Traitor Legions wage war against the Emperor. Play an epic solo campaign, ranked PvP and multiplayer PvP Arena through the most tragic civil war in Warhammer 40,000 history. TCG LEGIONS AT WAR: Expand your card collection as new Space Marine Legions from the Warhammer 40,000 lore are added, each with a unique card list and strategy. The battlefield keeps changing in this strategy card game! TRUE CARD BATTLE SKILL: Battle in epic Ranked PvP and Sealed Deck Arena. Build a deck from your card collection or master each Arena Sealed Deck using cards you don’t own yet. GUILD WARS: Coordinate with your guild in epic PvP Arena card battles that determine the evolution of this TCG strategy card game. Discuss card strategy and try your deck in friendly card duels. Battle other guilds and grow your card collection! The Horus Heresy: Legions © Copyright Games Workshop Limited 2018. The Horus Heresy: Legions, the Legions logo, The Horus Heresy, The Horus Heresy Eye logo, GW, Games Workshop, Space Marine, 40K, Warhammer, Warhammer 40,000, the ‘Aquila’ Double-headed Eagle logo, Black Library, Forge World, and all associated logos, illustrations, images, names, creatures, races, vehicles, locations, weapons, characters, and the distinctive likeness thereof, are either ® or TM, and/or © Games Workshop Limited, variably registered around the world, and used under license. All rights reserved to their respective owners. The time has come! New Legions join the fray, as the war moves on to Isstvan V.
New event: An Error of Judgement. Fulgrim tries to convince Ferrus Manus to join the traitors, without success. The Iron Hands join the fray! 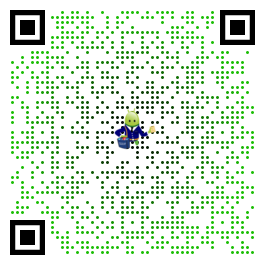 Try them in the event, and start collecting them through event prizes. The new cards won’t come up in normal crates – take part in the event to get them! Prevent occasional connection errors at start of a match.